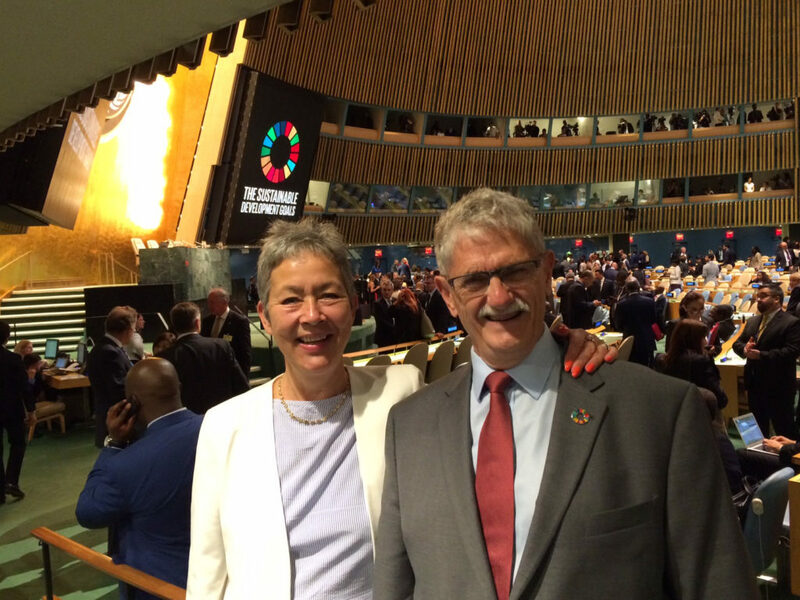 2015-2016 I joined my husband during his stint as president of the 70 United Nations General Assembly in New York. For 15 exciting, fun and weird months I was a Temporary and Incidental New Yorker, which I blogged about as I went along. I spent most of the time supporting my husband, they named me his ‘Ice Breaker‘, meeting thousands of interesting, fun and sometimes nasty people. Also, I had the pleasure of serving as faculty advisor for some terrific MA-students of human rights and international affairs at SIPA, Columbia U. 19 September, 2016. A good friend invited me for breakfast at Tiffany’s on Friday. Can’t, because we’re leaving on Thursday! Such is life. 14 August, 2016.  Just returned from a wonderful little New England road trip in a darling rented light blue VW Beetle, which we became quite attached to. 2 July, 2016. The Incidental New Yorker has been highly incidental, but less of a New Yorker lately! May and June has been what felt like back to back travelling. I am trying to catch up here … with a few highlights from June; Cuba revisited and more. 28 June, 2016  This country actually has a National Doughnut Day! The event takes place the first Friday in June and was created by the Chicago chapter of The Salvation Army in 1938 to honour the Doughnut Girls, who served doughnuts to soldiers during WWI. 6 April, 2016  We went to Panama over Easter and had the loveliest break there. Wonderful and very friendly people, beautiful place, terrific food, and the wildly impressive canal, where I was so lucky as to be invited to actually open a lock gate for a huge container ship heading East from the Pacific. 3 March, 2016 Has been a while … Sorry! Glad to be back. Had a lovely New Year break in Denmark. And lots to attend to. I’m already half way through my temporary stint as Incidental New Yorker. Not any way near half way through exploring the city, though. 22 December, 2015.  White House Christmas decorations. Winter solstice in NYC and 22 degrees Celsius/72F! I am so glad that we, the world’s population, have just pledged to truly care for the climate. And I am eagerly anticipating governments delivering on their pledges in Paris earlier this month. 8. November, 2015.  Halloween is a major event here; as well as big business ensnaring children and adults alike. I met a guy, all dressed up, and really couldn’t figure out what he was trying to impersonate. It turned out to be a banana, but the costume was so uncomfortable that he wasn’t wearing the upper part. It was good that he explained. Otherwise I’d still be wondering. Imagine having to explain that you are a banana! 27 October, 2015. Ai Weiwei has done it again! This man is a true virtuoso at playing the international media. He brilliantly unmasks authorities and hypocrisy by placing a virtual mirror right in their faces and deeds. This time Lego is in the eye of the storm, even a virtual toilet storm. 4 October, 2015. What really made us feel part of the UN family was an e-mail a while back from the UN administration informing us that there were bed bugs at HQ here in New York and urging us to be vigilant! Messages like that sort of keep you grounded – which is one thing I haven’t felt recently at the UN, grounded. 8 September, 2015.  My New Yorker existence has gained new meaning! It came in the form of a beautiful handcrafted uniquely UN blue bicycle from Danish Herskind&Herskind! Danish design at its most exquisite. Pedalling is now my very real contribution to copenhagenising this city. Biking here is a bit like if we introduced elephants  or other alien road-users in Denmark.